HavilahMedia has both Shure UC series and Sennhieser G series mics available for rental. 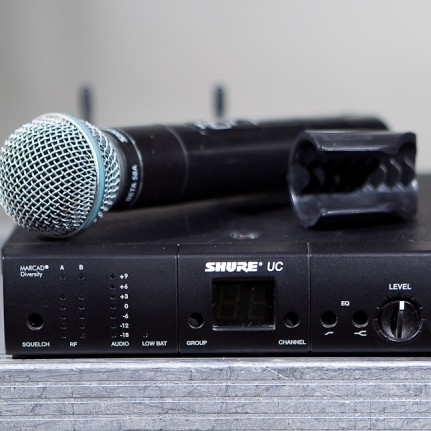 Shure UC series are available as either SM58 or Beta 87A Configurations for handhelds. We also have body packs ready for use with any lapel or headset mic. We also have Sennheiser G series in both A and B bands. Prices start at $ 50.00 / day per unit. We offer discounts for multiple units or longer rental times.